If you don’t remember your phone number on any of these Nigerian mobile telecommunication network (MTN, GLO, AIRTEL, and 9MOBILE) then don’t worry because you can find your phone number dialing a simple shortcode and in case you are not familiar with the name 9mobile. Etisalat network is now 9mobile for Naija and I will not be using the name Etisalat again but 9mobile Network. You might remember your phone number because you bought it new or because you suddenly forgot it but then there are many ways you can find your phone number dialing some shortcode numbers irrespective of the network you are using. 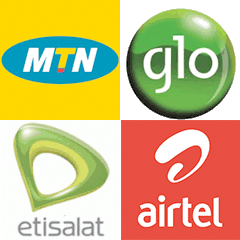 If you need to find your phone number anywhere, anytime simply follow these steps below and learn how to find your MTN, GLO, AIRTEL and 9MOBILE phone number using a simple shortcode. If you are using an MTN network and wish to know your phone number simply Dial *123# and you will have your phone number on your phone screen in no time. You can find your GLO phone number in two methods, dialing a short code or by calling the number they named own number and you will hear your phone number, Dial*135*8# or 1244 to hear your number. Checking your phone number on Airtel network is simple, all you need to do is to Dial *121# and you will see some options, select 1 for My Account. Select 1 further again to reveal your phone number. To find your phone number on 9mobile network formally known as Etisalat simply dial *248# and your phone number will be displayed on your phone screen. Thanks for coming around, if you still need help finding your mobile number or another help feel free to share with me.